Lib Tech is a collective of creative board sports dreamers who have eliminated any barriers between us and actualizing the dream. A lot more than the obvious goes into every board we build. The belief that anything is possible. The experience to know what works. The enthusiasm and determination to make it happen. Highly skilled, magical, hands-on ripper kraftsmen. The world’s best athletes and terrain. Dynamic, multi-medium snowboarder artists. The most exotic, high performance, environmentally friendly materials. The safest, most efficient, environmentally friendly process. Maximized material yields, recycling and repurposing. Zero Hazardous waste. We do it all ourselves because we love it and nobody does it better. 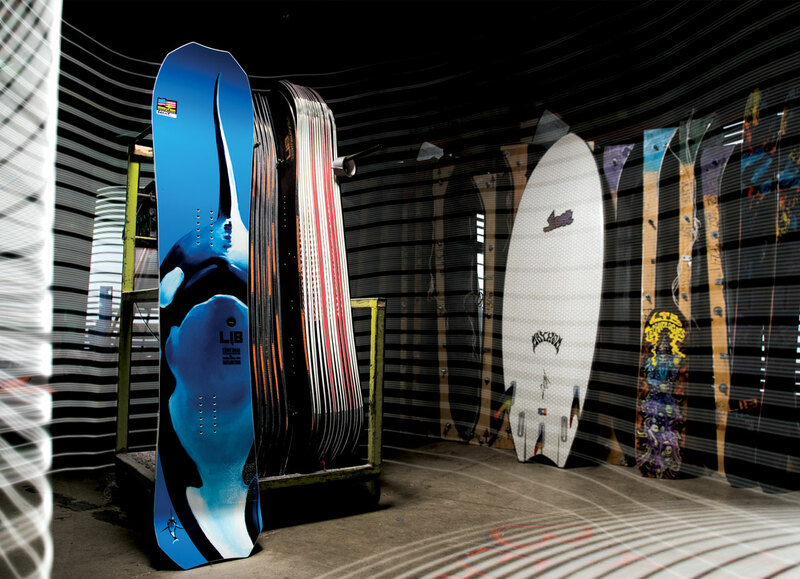 The world’s best boards… dream boards.